The sunshine! Being able to play golf 365 days a year. International dining. A truly diverse culture. Great education opportunities. Friendly people. From business opportunities to recreation, from high culture to haute cuisine, the Houston region has it all. But this is only a fraction of what makes Greater Houston communities a great place to call home. Living in the region will make you part of a global metropolis where ideas, vision and imagination are welcomed and embraced. Houston is a dynamic, culturally diverse city that amazes visitors and natives alike with its ever-changing and infinite variety of attractions. Houston is an easy place to call home. Most recently, the publication for cutting-edge industry leaders, Fast Company, named Houston “City of the Year” for 2011. 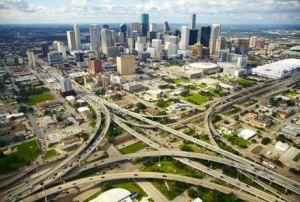 Forbes Magazine calls Houston a “Model City”. As the fourth-largest city in the United States, Houston has been also called “America’s booming opportunity city” by The American Magazine. Houston has one of the best and most affordable Real Estate markets, strong job growth and a broad-based and growing economy. The oil and gas industry, the strong health care job base and international trade, along with the can-do business atmosphere, position Houston as a leader. Click on the Link to see what Our Greater Houston Communities have to offer you!